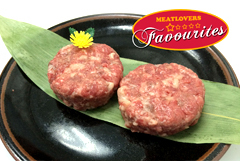 Meatlovers is powered by ADiRECT Singapore Pte Ltd. This is our window to all meat lovers in Singapore who are craving for a taste of the all-authentic Wagyu, which we fly in directly from Japan and deliver right to your door step. Here at MeatLovers, all meat lovers will find that buying our products is not merely a purchase but a shopping experience into some of the finest things a food connoisseur could hope for. Coupled with our incomparable product quality, this makes us the people and brand that you can trust. Through careful selection of suppliers and strictly upheld prescriptions throughout the process of meat preparation, packaging, storage and delivery, we ensure that our clients receive only products of the highest quality. 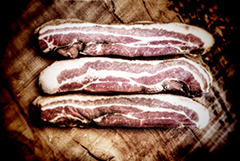 Safeguarding our meat quality and your food safety is our top priority. We ensure that our meat conform to AgriFood and Veterinary Authority (AVA) inspection standards and am strictly committed to managing the cold chain of meat supply. Each and every of our processing staff are also regularly sent for food safety courses under the Singapore Workforce Skills Qualifications Systems (WSQ) framework to keep them up to date regarding latest safety and hygiene standards. ADiRECT Group is a premium Japanese food ingredients producer, exporter, distributor and specialists. 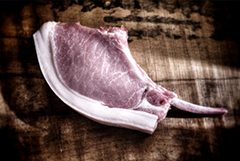 Our ingredients include the Japanese Wagyu, Kurobuta/Shirobuta Pork, and Otoro Tuna. Our business covers ASEAN, North America, Middle East and EU region. 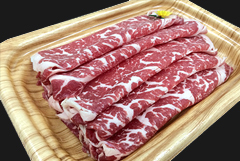 Using our years of expertise and experience, we specialize in the import, export, wholesale, private farming programme, retail of Japanese beef, pork and tuna. Our global clients include the most demanding and prestige world known Michelin star chefs and five stars Hotel and Casino Resorts such as Joel Robuchon, Alinea, Wolfgang Puck, Marina Bay Sands and Wynn Resort to name a few. Come and join our program today and become an official distributor partnership of ADIRECT.